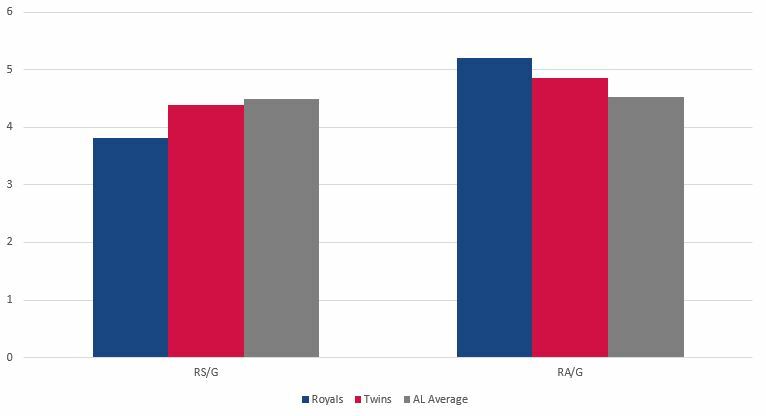 The Royals have four more games at home before they hit the road for one last time in 2018 and they welcome in the Minnesota Twins. It’s the final time these two teams will match up, so they know each other well and have been relatively evenly matched this season. 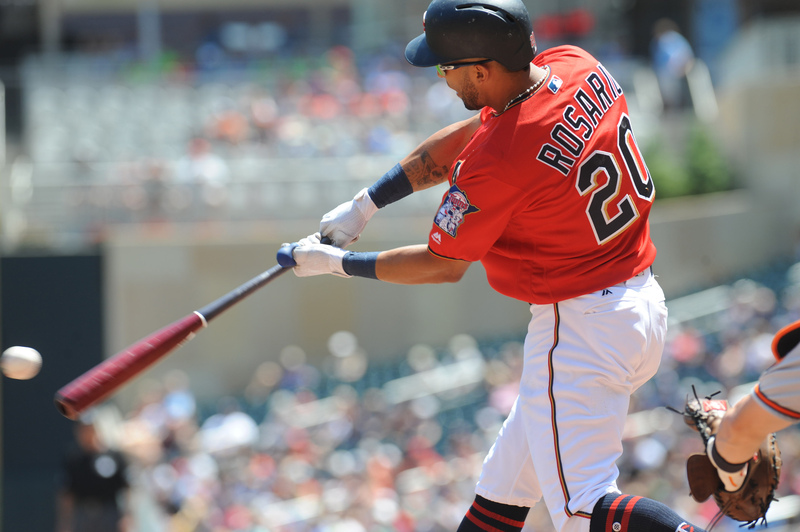 We all know what a disappointment this season has been for the Twins, but they’ve had some nice performances from Eddie Rosario and Jake Cave to help get them through a long winter before next season. And they have the potential to have a decent rotation as well if Jake Odorizzi can bounce back from an uneven year. While I wouldn’t predict big things for them or anything, there’s some talent in Minnesota that could get them back to the mid-80s in wins in 2019. Note: All advanced stats through action on Tuesday. 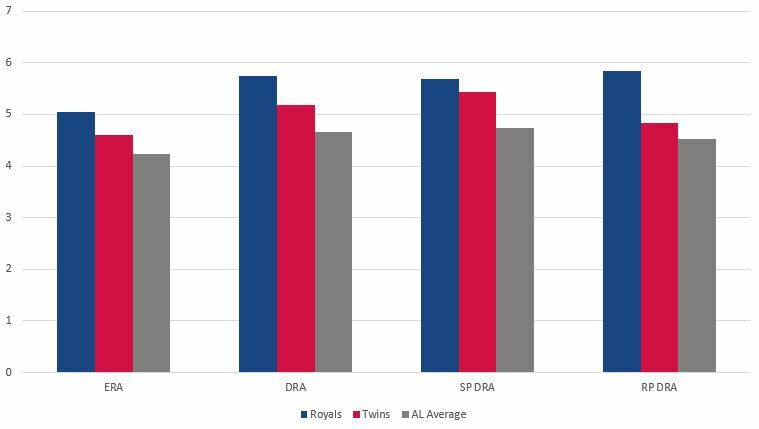 A quick look at the ERA and DRA difference for Gonsalves shows he’s been a little unlucky in his 12.1 innings at the big league level. Okay fine, so he’s been terrible either way. The royals had their way with him in Minnesota, but unfortunately his opponent then and in this one couldn’t hold a big lead after the Royals got to him in the third. In his big league career, he’s walked 13 and struck out six. I don’t care if you have talent, that doesn’t play. The sample is obviously tiny, but in 16 plate appearances against lefties, he’s allowed a ridiculous .429 ISO. Righties have hit him hard too, but yikes. The stuff just isn’t there for him. He throws his midding fastball a lot and of his secondary pitches, only his slider has been even close to being worth a damn. He didn’t last long last week, so nobody has more than two plate appearances against him, but the hits came from Jorge Bonifacio, Adalberto Modnesi, Alex Gordon and Whit Merrifield. I sort of have a hunch that if Hunter Dozier plays, he’ll have a big game against Gonsalves too. Fillmyer continues to never allow me to either buy in or sell on him. For the second time in just 10 starts, he was given a big lead that he coughed up relatively quickly. 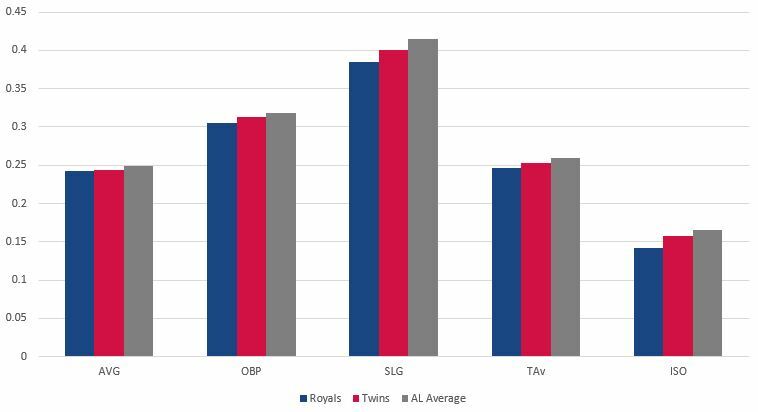 This time, the Royals plated six in the third against these very same Twins and he promptly gave up four and couldn’t escape the third. It was reminiscent of his start against the White Sox where he had a 6-0 lead and couldn’t get out of the fourth before giving that up. The Twins have proven to be a struggle for him with nine runs allowed in just 5.1 innings. Luckily this game is in the comfort of Kauffman Stadium where he’s 2-1 with a 2.54 ERA in seven games and has allowed just 31 hits in 39 innings and only two home runs. Maybe that’ll help him get over the hump against the Twins. The Royals just saw Berrios a few days ago and he was very good, going six innings and allowing just a run on three hits. Expect to see Alcides Escobar in this one as his .353/.353/.706 line against him will make him a must-start for the Royals…for some reason. Berrios has continued his success against the Royals this year after struggling his first two seasons. He’s now 2-1 with a 1.80 ERA in three starts this year. His last bad start against the Royals was July 1st last year, so maybe he’s due. Lopez gets to make his next start following his near-perfect game against the team he almost threw it against. He was magnificent last week against the Twins, obviously, and following that game was one of the greatest highlights of a terrible season. I’ve long been a believer that Lopez is a reliever long-term, as I’ve said before, but he seems to be doing everything he can in his last two starts to get me to change my mind. The big thing for me in the past has been that he just begins to struggle a bit at 50 pitches or so. In his last two starts, opponents have hit .174/.208/.174 against him after the 50th pitch. Sure that’s arbitrary and it’s a small sample, but it’s encouraging. Now let’s see him do it again. De Jong had his first start since last season against the Royals last weekend and looked pretty good, giving up just one hit in four innings, though he walked four. He uses a four-seam fastball that doesn’t have much zip quite often and then mixes in a slider and changeup, both of which were quite effective against the Royals last week. The sample is tiny, but his fastball has been hit around in his career, so if he lives on that too much, a young lineup like the Royals that hunts mediocre fastballs should be able to do some damage. He’s allowed a .300/.394/.483 line to lefties in his career, which seems to be a good sign for guys like Ryan O’Hearn, Alex Gordon, Brian Goodwin and Adalberto Mondesi. Like it or not, Kennedy is signed up for two more years and will at least be part of the rotation to start next season, so his performance against the Twins on Sunday was really encouraging. I loved the six innings with one run on four hits, but I really loved 14 swinging strikes in just 93 pitches. His fastball, which is so important, was absolutely outstanding. If he’s going to provide value again, he’s going to need that fastball to be doing its thing. It’s been a nice season for Gibson with the most strikeouts of his career while his walk rate has remained mostly steady. Between the extra swings and misses and the lack of hits allowed, he’s looking like he might have made some sustainable changes to keep him as a solid number three starter for the next couple years at least. If we’re being honest, given his affordable salary and inconsistent track record, the Twins would probably be wise to shop him this offseason. Gibson has been dynamite when ahead in the count, allowing just a .168/.176/.284 line to opponents with just 12 extra base hits in 194 plate appearances. If you’re looking for a reason to not believe, he’s allowed a .244/.332/.420 line with the bases empty and .191/.258/.255 with runners in scoring position. That bases empty line is pretty much in line with what he’s allowed on the whole in his career, so there’s a decent bet that’s who he is and he’s had some strand luck. I guess we’ll see next year if it can carry over. Junis is going to earn himself a reputation as a second half master. In 123.2 innings after the break in his young career, he’s 10-3 with a 3.20 ERA. This year, he’s 3-2 with a 2.83 ERA since coming off the DL, which also coincides with the break ending. The 58 strikeouts and 12 walks in 60.1 innings are really encouraging and he’s now gone four straight starts without issuing a walk, with the streak reaching 116 batters. That’s pretty good. He’s been a horse in his last three starts too, going 24 innings with 15 hits allowed and 18 strikeouts. The home runs crept back in a little bit in his last start with two in the third, so that’s something to keep an eye on, but he’s just been so good recently that we’re back to anxiously awaiting each Junis start. Four game sets are often split, and four-game sets between two teams with nothing to play for probably are even more so (don’t look that up). So yeah, I’ll say a split. I know, I know…boring.